In the NVR a trigger is a set of criteria that, when met, starts the execution of a predefined task. 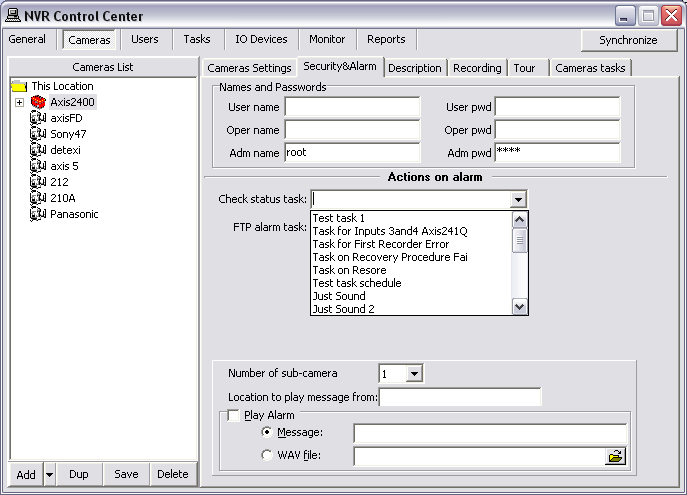 In order to get advantage of getting a notification/action defined in the task this task should be assigned to a specific alarm/event. To learn more, read the DETEXI NVR — Reliability System section of the manual. The main purpose of the NVR Status task is to send out the current NVR status of the NVR components at predefined time. 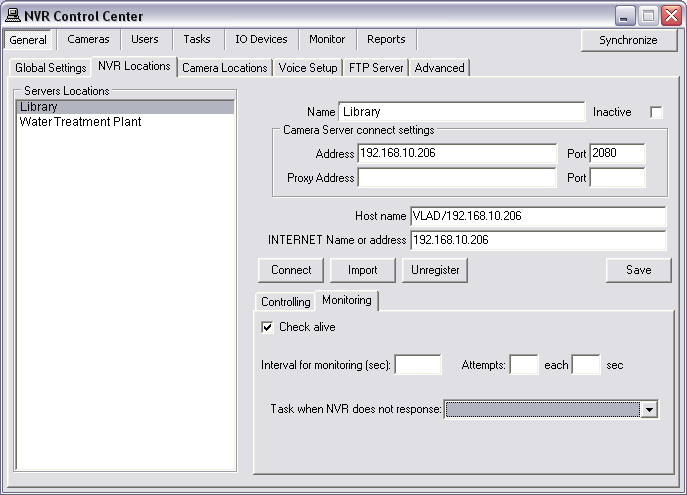 It is initiated once a day at a predefined time and provides the user a list of the NVR components being monitored and their status. NVR Service Health alarm is raised when any of the individual NVR Services encounter problems. 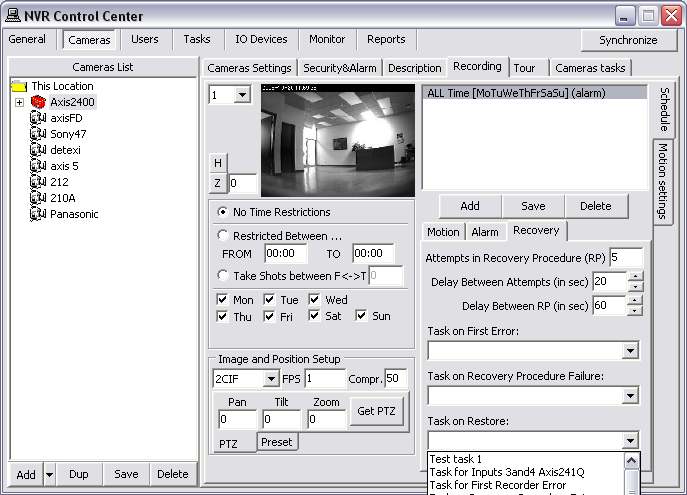 To monitor the health of the DETEXI software components (services) you need to assign a predefined task that will be executed in a case of failure to each component you wish to monitor. It must be clear that if a device fails to answer this does not necessarily mean that there is a physical device failure. It could be a connection (network) error. From the NVR reliability point of view it is irrelevant as to why there is no video stream but from the point of view of the technician (who has to fix the problem) there is a big difference. In the NVR Control Center go to General — Advanced.